Scrapple is an image uploader for LiveJournal. 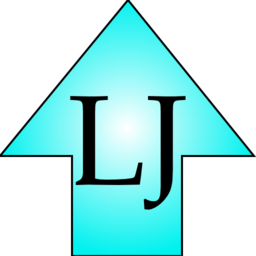 I created it because the only existing LJ uploader I found required me to have an account with a third-party service, and give them my LJ password. Scrapple, instead, has you upload directly from your phone to your LJ Scrapbook; your password stays as safe as your phone. Free in the Android Market (not even ad-supported), or you can download it right here (provided you've got "Allow other sources" turned on—which you can't do with older AT&T phones). Mind you, I would prefer if you install it via the Market, so that I can see how many people have tried it. The name is a joke. I wanted to avoid naming it "LiveJournal Uploader", since that would be a trademark infringement. Names starting with "LJ" were descriptive, but not that interesting; I started looking for a name that played off of "Scrapbook" (which is what LJ calls its photo service). Finally I thought of scrapple, which is a really terrible meat product found in Pennsylvania, made out of scraps left over from actual meat. To seal the deal, "scrapple" seems to be a frequentative form of "scrap", and I really like frequentatives. Version 2.0 adds a major new feature: Automatic Upload. If you enable Automatic Upload, every photo you take will be uploaded via Scrapple. You can specify a maximum size for the automatic uploads; you can also specify that panoramas should be exempt from the maximum size (since squeezing down a panorama to a width of, say, 640 may make its height too low to pick out details). Automatic Upload has to guess which images are panoramas; an image is considered a panorama if (a) its filename contains "pan" (or "PAN", or "PaN", etc.) or (b) its width is at least twice its height. If there is a camera app which you want to use with Automatic Upload, please let me know and I'll see if I can support it. 2.0 also adds some extra robustness, retrying when uploads fail; and it allows you to specify a maximum size when uploading manually. Scrapple se puede utilizar en español. Scrapple nutzbar ist auf Deutsch.